Here are the different Lunette sites where you can go to look around and decide on a size and color!! So, ready to find out about the giveaway? Well, Lunette has kindly decided to share a cup for us to give away to ONE lucky winner. How do you get entered you ask? The MOST important way is to comment here on this blog with your name, e-mail and what size and color cup you would like. The second two entries come from liking The Mom: Informed and Lunette on Facebook. After that, there are optional entries you can earn by following us on Twitter, Tweeting a message about the giveaway or sharing this blog post on Facebook. Once you have performed the task to earn your entries, come back here and click on the giveaway widget below to make it count. You have ONE WEEK from today to enter. Get started and good luck!!! Interesting article on these cups, I didn't realize there was an alternative to pads and libra tampons. I might have to check it out. I would love to be lucky and win the size 2 and blue! Would love a green one, size 2. I'm looking to go "green" for my period once it returns. This would be awesome and I'd love to have a size 2 Aine! Ooh, pick me! Sigrid Chapman, sigrid.elisabeth@gmail.com, size 2 clear! I would choose Lunette Cynthia in size 2! Hmm Lunette Selene (blue) in size 1! Model 2 in Cynthia please! I would LOVE this in a size 2! I am pregnant with my second baby, and am hoping to use natural products once the baby is born! I would love a size 2 and blue! I'll be using it at first to TTC via at home insemination for a surrogacy, this could help us succeed!! Hello, what a great giveaway!! I would love the purple one in a size 2. I would love one, thanx. I would love to try these, I had a Diva Cup but dropped it in the toilet the first day I used it. I would like the size 2 Lunette Cynthia. Rachel, rchlswann@gmail.com. I would be thrilled to get a burgundy Lunette cup in size 2! They're completely gorgeous. I'm Sophie Kaye, my email is sophie_kaye@hotmail.com. Would love the purple cup size 2. What an awesome giveaway! Good luck to all involved. 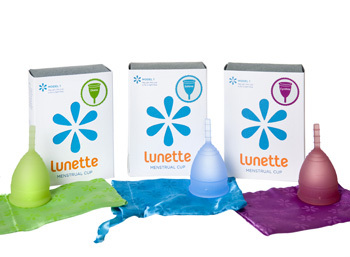 I've been using the disposable softcup for a few months now, but would love to try the Luna!! Coral size 2. Thanks! Nyssa Retter, nyssaretter@yahoo.com. Size 2 in Cynthia please! I want one! Cherrybomb831@gmail.com I would like the green in a size 1! I would love to try a blue one in size 1. Have had lots of trouble since babies! Ooh, I'd love a Diana in size 1! I'd totally dig having Selene, size 1!!! Size 2 in blue! Woot! Green size 2 would be fantastic! I would love the purple "Cynthia" in model size 2. Ksgoodnough3808 at gmail dot com.